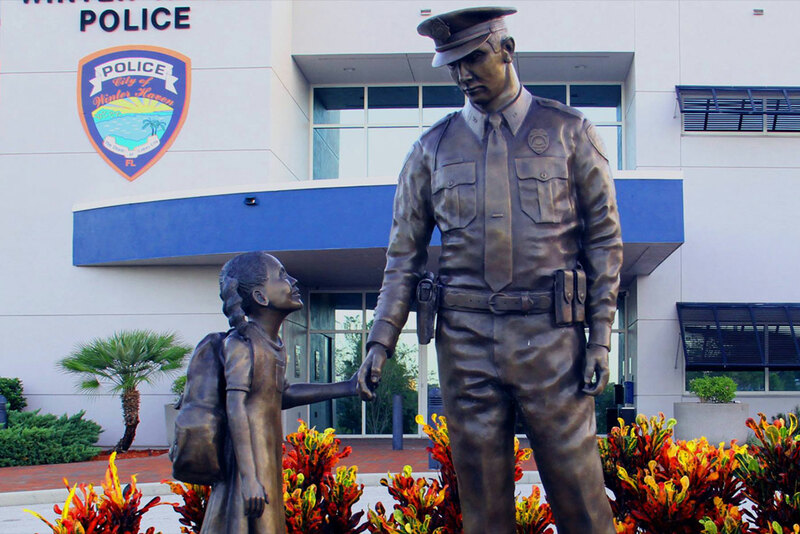 Chief Charlie Bird and the Command Staff of the Winter Haven Police Department are proud to announce the installation of a Downtown CRA Officer dedicated solely to the Downtown CRA District. Funded solely by the Downtown CRA, Officer Steve “Ru” Rusich started his tour downtown on Monday, April 2. A meet and greet is scheduled in conjunction with the Department’s Community Chat on Wednesday, April 25 at 5:30 p.m. at the Winter Haven Chamber of Commerce, located at 401 Ave. B, NW. All Winter Haven citizens are invited to join. Ru has been with the Winter Haven Police Department for more than 15 years serving in patrol, detectives, and most recently as the Inspector for the Department’s Internal Affairs Division. With the growth of the CRA District in Winter Haven, the partnership of the CRA and the Police Department is going to be a benefit to the businesses, residents and visitors into the Downtown CRA District. The goal of the position is to determine the root causes of criminal activity in the CRA District and come up with solutions to those issues, with an emphasis on partnerships and community policing strategies. In addition to his agency-issued vehicle, Ru will also be seen traveling around on an ATV style vehicle to better assist with alleyways and trails. The Downtown CRA District is much more than Central Park, therefore the ability to reach areas otherwise cut off by a traditional vehicle is vital. And let’s not forget foot patrol. “I’m looking forward to the foot patrol aspect,” Ru said jokingly. “I went out and purchased a special pair of walking boots just for the position.” Ru will frequently be seen walking in the downtown area visiting with businesses and talking to citizens who visit downtown. The Downtown CRA District is a large part of the City to include areas from Cypress Gardens Blvd. north up First St as well as Hwy 17 to just south of Havendale Blvd. This large area is seeing continuous improvement and growth and Ru’s mission is to help address issues that have traditionally hindered some of the improvements. Come out and learn about the improvements to the CRA district and meet Ru. Chief Charlie Bird would like to invite the public to come out to our next Community Chat that will be held at the Winter Haven Chamber of Commerce located at 401 Ave. B, NW in downtown Winter Haven to meet Ru and speak with the Command Staff. The scheduled Community Chat is slated for Wednesday, April 25 at 5:30 p.m. There is no agenda – just citizens coming in to meet Ru and bring any comments, concerns or complaints. For more information, call the Winter Haven Police Department at 863-291-5858. Ext. 2151.